For those who want to be a customer, NeoLife offers a Club Member program. Joining is free, simple and gives valued customers the ability to shop at a special 15-30% discount, as well as access to nutritional education, free product when you refer friends, weight loss and fitness challenges, and fun events around the country. And for any entrepreneurs out there who have a passion for sharing good health… NeoLife is also redefining the world of startups. Put simply, it’s like a tech start-up, but with nutrition. There’s low barriers to entry because NeoLife provides the infrastructure that any successful business needs, as well as consumable products, and a compensation plan. So instead of having to raise hundreds of thousands of dollars to get started, it makes entrepreneurship accessible to everyone. When you become a Promoter, you own your own NeoLife business and it can be passed down as an income generating asset to future generations. 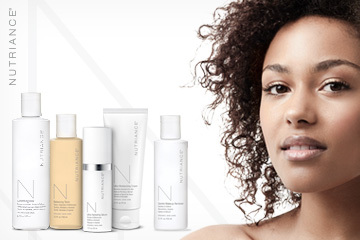 NeoLife Promoters also have access to a turnkey business system to help launch Nutriance Organic, through Spa Hour events. Promoters across the country are hosting Spa Hours and sharing the best kept age-defying secrets of skin care with their friends and family. The goal is to empower people with knowledge to keep themselves and their loved ones safe, healthy and glowing. It’s also a lot of fun for guests, with the opportunity to pamper themselves with a Self-Spa Treatment using the age-defying Nutriance Organic skin care line. To learn more visit NeoLife.com.